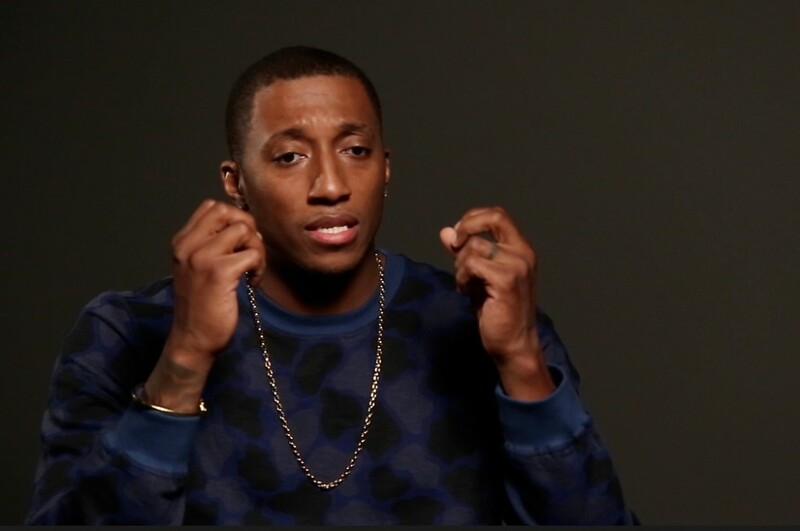 “I actually had to do homework to understand the weight that he carried,” Lecrae said. He’s since participated in several BGEA events. Now, the Grammy-award winning rapper is featured in the My Hope America film, “The Cross,” which airs nationwide Nov. 7 with a special message delivered by Billy Graham from his home in Montreat, N.C.
Having the opportunity to share his testimony alongside one of the world’s most respected men is an experience that’s still hard for Lecrae to fathom. “It makes it a lot more real when you realize, ‘Oh wow, they’re asking me to be involved in this,'” he said. Thousands of My Hope “Matthews” will invite family, friends and neighbors who don’t know Christ into their home to watch “The Cross.” In addition to the upcoming broadcast, two other short evangelistic films — “Defining Moments” and “Lose to Gain” — were developed to help set the tone and ease the nervousness some may feel when sharing their faith. All three include excerpts of Billy Graham preaching the Gospel in past Crusades and the stories of well-known Christians including singer Lacey Sturm and ex-NFL player David Tyree. In “The Cross,” Lecrae opens up about moments of anger and audacity when he was younger, like the time he pulled a gun on a woman just for laughs. “I was a hedonist,” he continued, always in pursuit of pleasure and self-gratification. “No matter how many women I got involved with, no matter how many drugs I took, no matter how drunk I got, no matter how much I wanted to escape the feeling of insignificance and insecurity, I could not quench that,” he said. Now a father, Lecrae is transparent about growing up in a single-parent home. His search finally came to an end when someone encouraged him to attend a conference in town. “And it was as if the scales fell off, it was as if I realized how selfish and how foolish I had been looking for fulfillment outside of the One who created me,” he said. After living “19 years of craziness,” playing even the smallest role in something as big as My Hope America has been humbling for Lecrae. But the message behind the project is one he’s already put into practice: taking the time to build relationships with non-believers. Heavy bass and unique beats are signature to Lecrae’s music, a style that fits right in with mainstream hip-hop. Because of that, Lecrae has worked with numerous secular artists and said he’s able to share his faith “quite often” in the industry. Being sensitive to confidentiality, Lecrae didn’t name names but talked about one “prominent” artist he’s connected with. That example of relationship evangelism is what My Hope America is all about. Lecrae, who once looked up to the drug dealers and gang members in his neighborhood, also sees the national broadcast as an opportunity to introduce young people to Christian role models like Billy Graham. “He’s unwavering, rooted and grounded in truth, and not going to move for anything,” Lecrae said. And to him, that’s what the world needs more of. For national and local TV listing of where to watch Lecrae in “The Cross,” click here.